The PROFILES CHECKPOINT 360°™ is used primarily to evaluate the effectiveness of your managers and leaders. The PROFILES CHECKPOINT 360°™ is an employee survey for leaders and used primarily to evaluate the leadership skills and effectiveness of your managers and leaders. 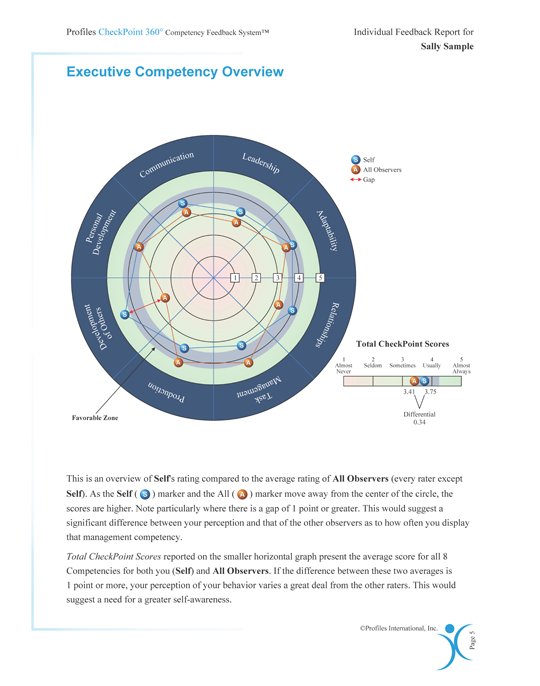 This survey compiles a feedback system from direct reports, peers, supervisors, and even customers, with a personalized program for developing specific leadership skills based on that feedback. The reports explain how to improve training, management techniques, and communication for greater success. The PROFILES CHECKPOINT 360°™ is a 360-degree leadership survey used to help managers identify and prioritize their own development opportunities and leadership skills. It is also used to surface management issues that could lead to low employee productivity, morale, satisfaction, and turnover. 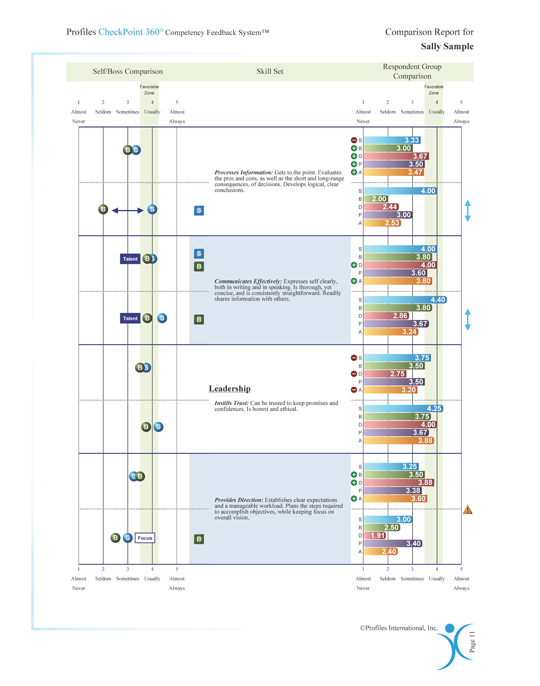 "ProfileXT® and CheckPoint 360°™ are the products we like to use for leadership development. These tools give participants insight into their own skills." Useful to the manager and the manager's superiors. 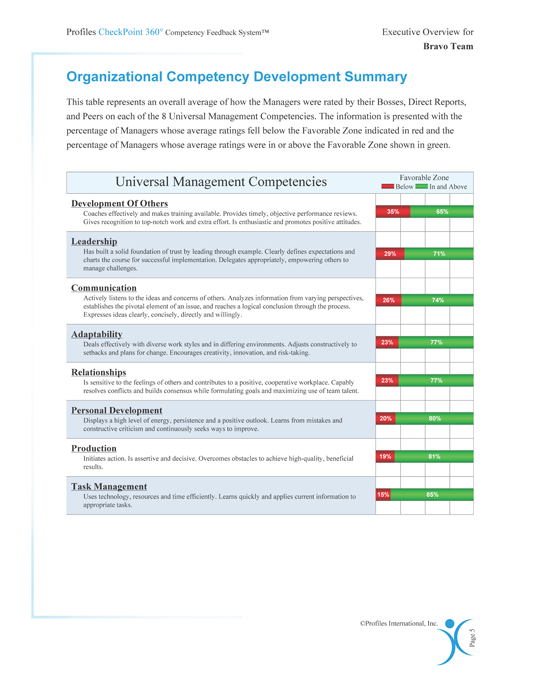 Describes the manager's skills and competencies. Provides a means of measuring a participant's progress in developing leadership qualities and management skills. Useful to the organizational leaders. 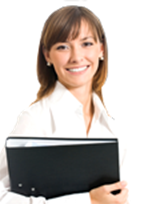 Provides a summary of all individual reports. 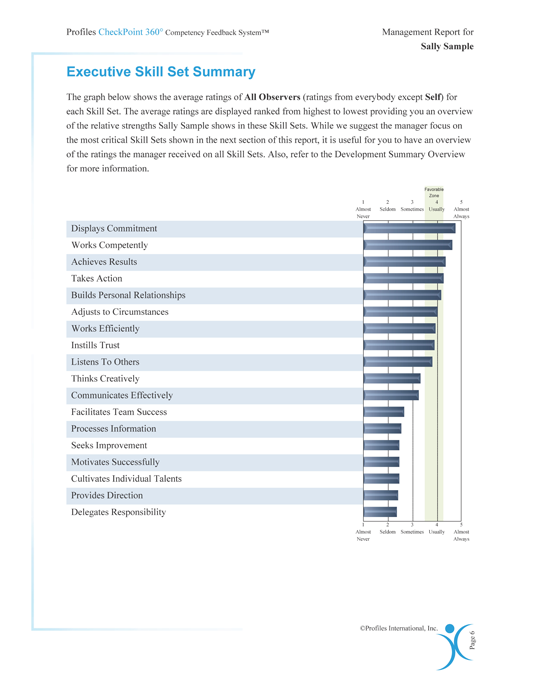 Compares the feedback from managers with self-reported data.